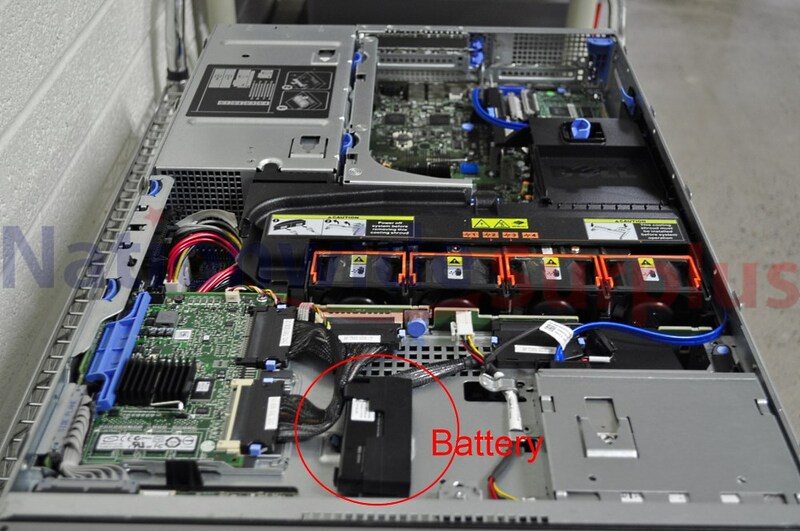 Why dosen't my Hard drive on my dell poweredge 2950 won't show up in bios or installation? help, Dell will not help Because I need to wait for the owner transfer form to go through. Help!!! The Hard drive is brand new And was factory sealed with the new caddy tray. 1. You need to put the drive in the screw holes FARTHEST back on the caddy/carrier ... putting it in the closest set of holes requires the use of an interposer to reach the backplane. 2. You WON'T actually see the drive in the BIOS (BIOS Setup (F2)) ... the drives are handled by the RAID controller, so it would only be visible in the RAID controller's configuration utility during POST (CTRL-R or CTRL-C). I'm not sure but this is what i did, first i tried what you said putting the HDD on farthest holes (Wouldn't fit) i tried the second step but i think there is a solution ether my RAID controller is bad or the battery, i think most likely the battery because its marked 2007. I don't get the option for CTRL-R and that's probably why my hard drive will not activate or start correctly! As for the holes ... why wouldn't it "fit" in the back holes?
" i think there is a solution ether my RAID controller is bad or the battery, i think most likely the battery because its marked 2007. I don't get the option for CTRL-R and that's probably why my hard drive will not activate or start correctly!" You will only get a CTRL-R prompt if you have a PERC 5/6. If you have a SAS 5/6, you will get a CTRL-C prompt instead. If you have no controller installed, then you will have no way of using any drives. I would first make sure there is a controller installed ... if there is, what is it? If there is a controller installed, BUT you are not getting a CTRL prompt during POST, then try reseating the card. Also, make sure that integrated RAID is enabled in BIOS Setup (F2). If the card still does not show up during POST, then the card (or, rarely, the slot) - NOT the battery - is bad. I do have a RAID controller and i do not get ether CTRL-R or CTRL-C I only get F2 F4 F12 Etc. And Ctrl-S CTRL-E for setup menus. RAID is enabled and I don't think its my hard drive back panel. But what is wierd is i had it off for about 3hrs fully unpluged because of frustrations with dell technical support. I went back on when you told me to do those steps and in boot sequence there was a Option for "C: Hard Drive" that point I was so happy went to go install Windows HS 2011 but still the hard drive did not show up nether did any LED near the hard drive light up. Which RAID controller do you have? Check you original order details (if you are the original owner AND you are SURE its configuration has never changed). If not, it is a SAS 5/6. It is a PERC 5/6 there is a battery. The PERC 5/i and the PERC 6/i behave very similarly - the PERC 6 is just the newer/updated version. If integrated RAID is enabled in the BIOS, and you have tried reseating the controller in the slot, and you are not getting a CTRL-R prompt, then your controller (or slot/sideplane) is bad.